Boom! 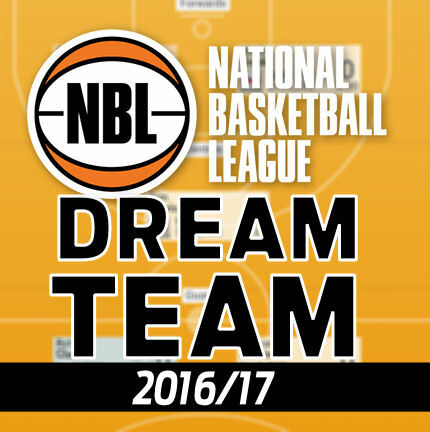 Christmas came early in NBL Dream Team this year with huge scores everywhere in round ten. Lets hope we see more of that this week. Casper Ware was player of the round after he stepped up in style and smashed out the highest score of the season with 122. However it didn’t stop there as Adelaide pumped out the scores. Jerome Randle and Nathan Sobey both also cleared the century, scoring 118 and 106 respectively, while Daniel Johnson fell just short on 96. Next in line was Casey Prather on 88, except he delivered that from a single monster game. It didn’t really slow down either as with all the double matches twenty-two players scored 50 points or higher. The best value selection for the round was also Casper Ware due to his massive score, but it was hotly contested for second with Jason Cadee (60) narrowly edging out Alex Loughton (34) and Jarrad Weeks (32). There weren’t too many disasters, however Marvelle Harris continues to be completely substandard compared to his season start and took the award for worst selection this week with a score of -4. David Anderson hurt his owners as well as himself with his zero, while Jameel McKay stopped scoring well again with a 12. With round twelve only one week away you should take a look at your Cairns or New Zealand players to consider offloading them before their bye. That said though, I’d be inclined to hold any Cairns players that you own as the only one with a really bad break-even is Travis Trice and I believe that you’ll want him back post bye. From New Zealand Akil Mithcell, Alex Pledger and David Stockton are all looking to be on a downward trend, however I’d be getting rid of any Breakers other than maybe Kirk Penny, Mika Vukona, or Rob Loe, all who should go up in price this week. If you haven’t grabbed Casper Ware yet then this looks like being your last chance to get him cheap. At his current rate he’ll be joining the genuine elite scorers of the competition up around the $190k mark very soon. If you’re looking for someone with the double match then Daniel Kickert presents some possible value, however he has been a bit inconsistent with his scoring this season and is probably priced about right. Jason Cadee also jumped in price as should continue going up, however the double for Sydney this week is their second last for the season. Mitch Creek has returned from injury finally and looked pretty good, although he was rested for Adelaide’s second game. He should start going up in value and didn’t seem to take anything away from Sobey either. AJ Ogilvy is also cheap for what he can deliver and another to consider. Of the cheaper players, Kevin White is playing the double and has been getting some slightly better scores recently, however if you’re looking to downgrade then you’re probably better looking at David Barlow, or maybe even Devon Williams, who should be getting more court time with the injury to Andersen. Jarrod Kenny is looking like some value with a negative break-even, as do Cairns players in Jarrad Weeks and Alex Loughton, although they have the week off shortly.